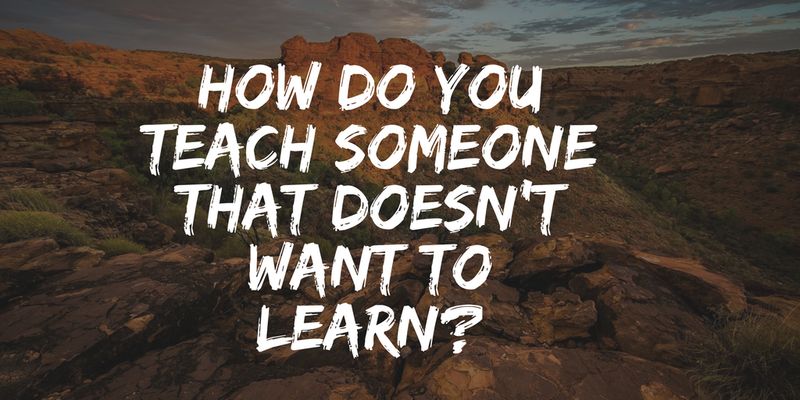 One of the significant keys to teaching anyone a new skill is based on the idea that you have to have a willing participant. We've all heard the saying that you can lead a horse to water...but you can't make them drink. 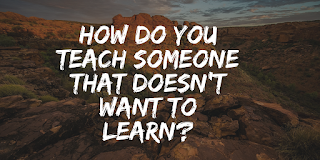 Most think they understand the meaning of that statement...but I guess most link it more to stubbornness than a natural animalistic tendency related to someone not wanting to learn something new until they know why they need to learn this new skill. What are the benefits to me? or How does it help something that I care about? - Might be questions that need answering first. As a manager and coach...the real question should be...how do you get the horse to want to drink the water? Let's get good at figuring out how to show those around us why something is important and then instruct from there. What are some reasons that you go to school and/or why do you want to further your education?